Castle architect HOME ARCHITECTS (Senior Staff Architect Rand Soellner, ArCH) designed this American castle for acreage in the Blue Ridge Mountains of North Carolina. 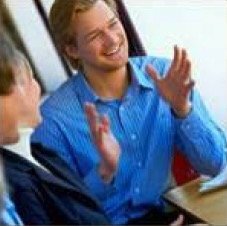 (C)Copyright 2005-2010 Home Architect, PLLC, All Rights Reserved Worldwide. 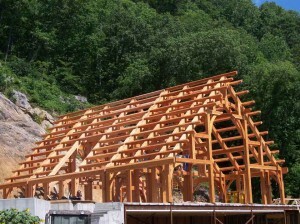 timber frame fabrication, delivery and construction by Jeff Johnson timber frame. Photos courtesy of Jeff Johnson timber frame. Castle architect : Rand Soellner. An American castle architect designed this stone mansion, featuring: castle home style, mansion design elements, stone cottage features, custom home planning, timber frame systems, luxury residential planning, Franklin and Sylva proximity, Highlands and Cashiers NC greater area, Asheville & Brevard regional vicinity. The proportions of this estate home were obviously created by a castle architect. 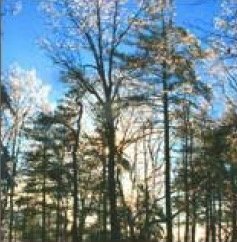 11,000 square feet home including 4 Bedroom 4-1/2 Bath with Family Room, Home Theater, Crafts Room and 6 car garage facilities. 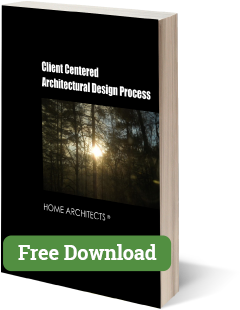 The home architects worked tirelessly to develop this design and construction documents to meet the requirements of the site and owners. Castle architect creates an American castle with European roots. This is An American Castle, designed by a castle architect. 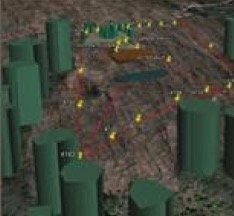 There are not too many castle architects in the world, especially in the United States of America. A castle is sort of a super-mansion, something that dwarfs even those noteworthy residences. 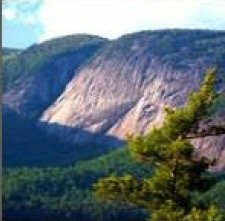 And this large stone-clad home on steep terrain in the mountains of Western North Carolina creates even further demands on the design and construction requirements. 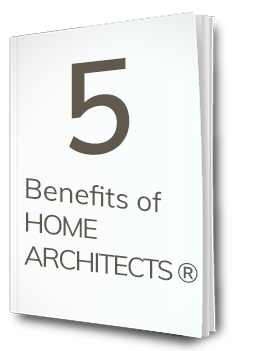 Add to that a timber frame internal support system and you have all the ingredients to result in a spectacular castle home. Here, you can see some of the construction photos of the timber frame raising for this project. 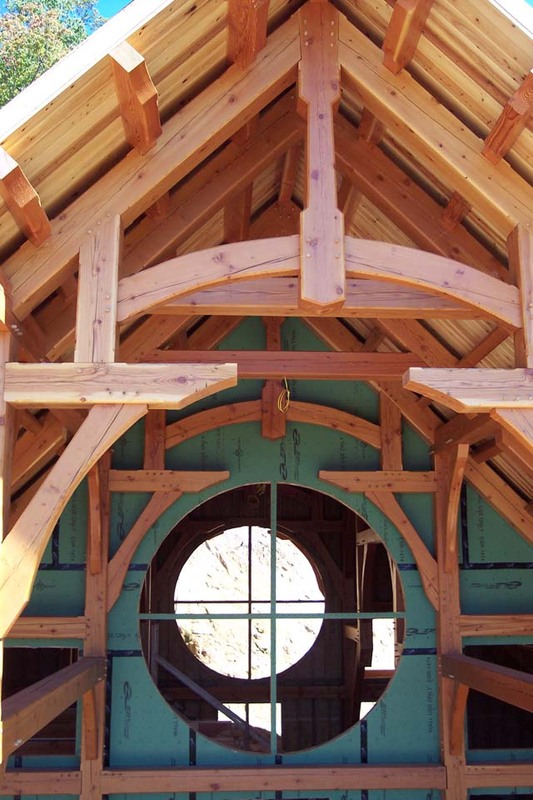 Castle architect Soellner enjoys working with timber frame and the entire central portion of this house and the right side (Master Wing) was conceived as a pure timber frame. This means that the post and beams and roof framing for these portions of this structure are true timber frame. 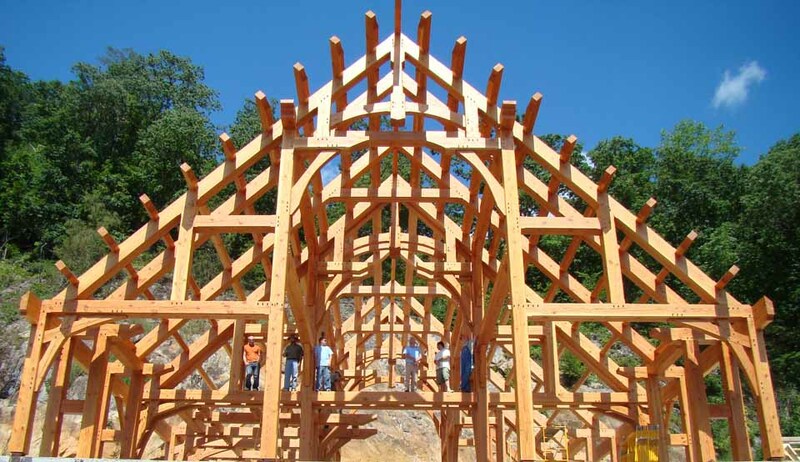 Soellner appreciates the tremendous strength of a true timber frame, particularly since most timber frames are made of Douglas fir, which is the strongest structural wood grown in the United States, primarily from the far western USA, from Washington State, Wyoming and Montana areas. As a castle architect, Soellner knows that the stone exterior requires a strong backup wall and they don’t get much more solid than doug-fir. 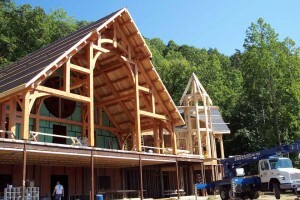 Soellner initially designed a more elaborate timber frame configuration which was ultimately simplified by Jeff Johnson timber frames, who created and fabricated the timber frame system shown here, and delivered and installed it, to result in an economical compromise solution that retained much of the original character, slopes and heights and shapes of castle architect Soellner’s initial design. Castle architect can date his roots back to southeastern Germany. Rand Soellner is a castle architect, and this heritage dates back to his ancestor’s Bavarian roots, when his great grandfather immigrated from Bavaria to America in 1869. The Soellners were carpenters and masons in Germany and this was passed along to Rand Soellner through genetics, family apprenticeship and university-level training. Notre Dame front entrance elevation, seen in person by this castle architect, Rand Soellner. Castle architect went in person to France &d Germany, researching historic cathedrals. This particular American castle has many of the ingredients of its European predecessors. There is a good reason for this. Rand Soellner researched castles in both Germany and France for this and other castle architecture for his architectural design business. 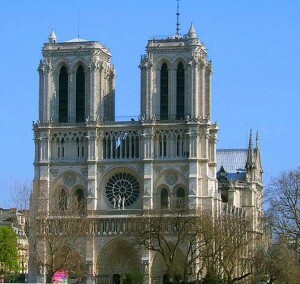 In 2000, Soellner toured Paris and the surrounding region, carefully studying Notre Dame on the island of Cite in the middle of the Seine River in downtown Paris. Soellner felt that his being a castle architect warranted extensive in-person research of the medieval classic castles upon which some of his details are based. 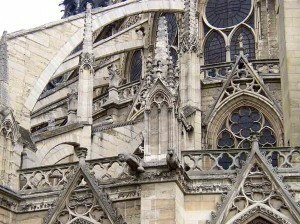 Soellner recalls that there was scaffolding up all around the rear sides of Notre Dame, as masons were restoring the flying buttresses of this medieval cathedral. This type of exterior reinforcing was required to brace the very tall walls against the horizontal thrust from the roof’s stone and timber arches. detail of flying butresses, which hold back the tendency of the roof and walls of the cathedral to spread out horizontally. This castle architect watched as workers repaired and restored the flying buttresses. 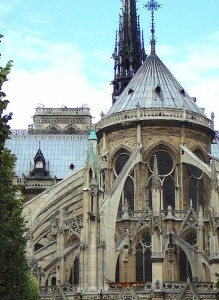 Similar flying buttresses were designed by Soellner for this project. 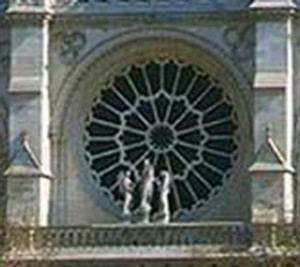 Soellner also took note of Notre Dame’s huge rose window facing the courtyard in front of Notre Dame. This castle architect favored Notre Dame’s rose window, but had to conceive a much simplified version for his American castle due to economic constraints. 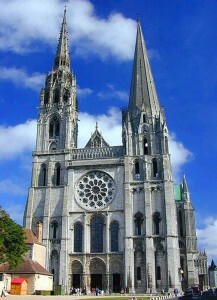 Soellner also took the train about 76 kilometers into the French countryside to see Chartres cathedral. This cathedral sits in a small village whose main claim to fame is the cathedral that dwells in its midst. Soellner like the turrets on Chartres. These influenced his turrets and spires on his American version. Even though he is an American, ultimately he is also a castle architect, and there just happen to be more examples of castles in Europe than anywhere else. So, that is a good place to visit to see the sort of details developed by other designers through the ages. This castle architect can date his roots back to Bavaria, land of castles. 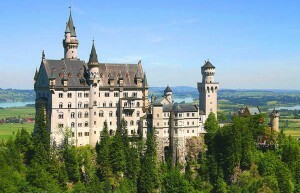 Soellner also toured Bavaria in 2003, along with his wife, Merry Soellner, studying numerous castles there including Neuschwanstein, Burghausen and others. Soellner studies them all and it all goes into his consciousness and it comes out through inspired creations like the American castle here. Soellner liked Neuschwanstein very much. It was the basis of Cinderella’s castle at DisneyWorld in Orlando, which Soellner visited often, along with the original structure in Bavaria. In particular, Soellner appreciates Neuschwanstein’s spires and turrets which brings along with them that fairy tale imagery that so impressed Disney. 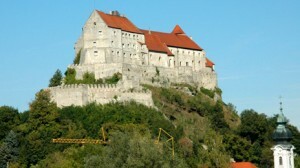 Burghausen, the longest castle in Germany; it extends for about a mile from this main castle. Castle architect Soellner walked the entire length of it in person, and stood on the uppermost spire, gazing out at the German countryside. While Soellner appreciates the enormous Burghausen (he & his wife walked the approximate mile-long central courtyard along the mountain spine on which it is situated), there was not as much exterior detail there that was as imageable as in some of the other castles he has toured. tags: castle architect, timber frame, log home, Franklin, post and beam, asheville, atlanta, buckhead, denver, canada, lake tahoe, lake lure, mead, newnan, orlando, mountain, vail, colorado.